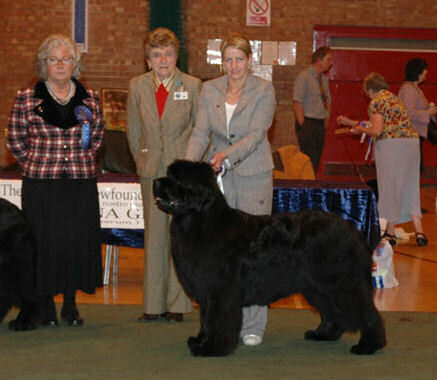 Our second home-bred UK Champion who thrilled us by winning Best in Show (all breeds) at the SKC in August 2008. 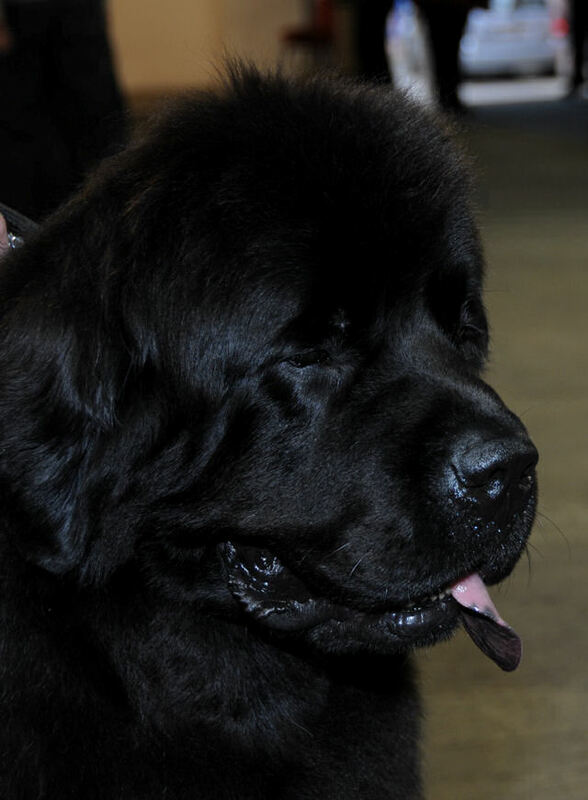 Not only is Chino a great show dog, he's a super ambassador for the breed with a sweet and gentle nature. Visitors who meet him melt when he rests his big head (in both senses of the word) in their laps and looks into their eyes with that kind expression. Don't be fooled though, he does think a lot of himself and tries to be the 'spoiled brat' when he thinks he can get away with it. He's a terrible thief and likes to chew, and not necessarily things he's given! He's just as happy up to his chest in mud as he is strutting his stuff in the show ring and he loves quad biking ... he's not allowed to drive, he just runs beside. 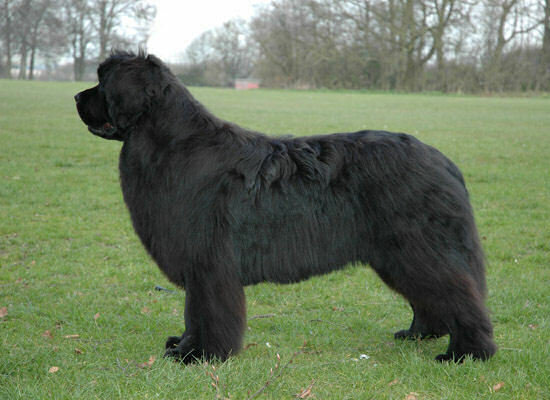 Chino has enjoyed a glittering career in the show ring, with notable wins as a puppy and as a junior, including a Reserve CC as a Junior under Adrianna Griffa. 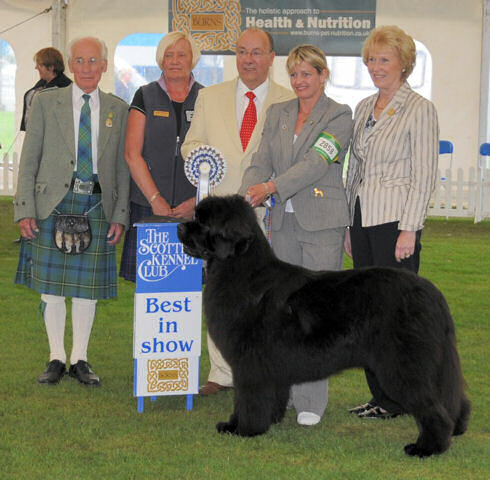 A second Reserve CC was awarded by Jenny Davie at the Border Union show in June 2007 before Chino won his first Challenge Certificate, awarded by Mike Sutcliffe at the SKC in August 2007. 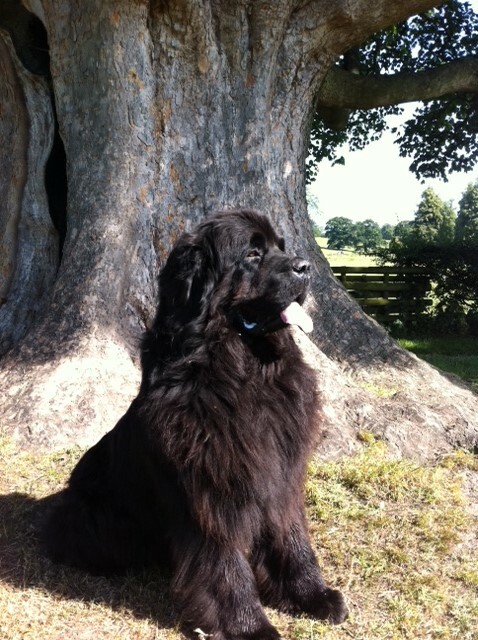 It came with Best of Breed and Margaret Everton then gave him Reserve in the Working Group. A second Challenge Certificate, also with Best of Breed was awarded by Graham Birch at Richmond in September, 2007. 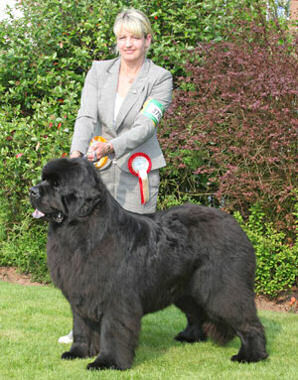 Chino was 'made-up' at the Birmingham National in May 2008 by Esther Denham. She too made him Best of Breed and he was G3 in the Working Group under Joe Kirk. 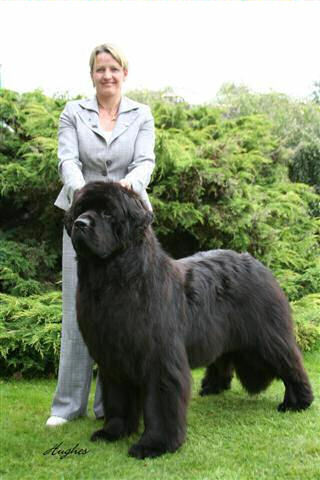 On 24th August, 2008, a fourth CC, with Best of Breed awarded by William Piggott was followed by a thrilling win of the Working Group judged by Keith Nathan and then by the most wonderful moment for us, Keith Nathan also made him Best in Show (all breeds). Chino continued in his winning ways gaining another two reserve CC's and a fifth CC with Best of Breed under Gordon Rual in Belfast where he went on to G3 in the Working Group under Jan Rual. 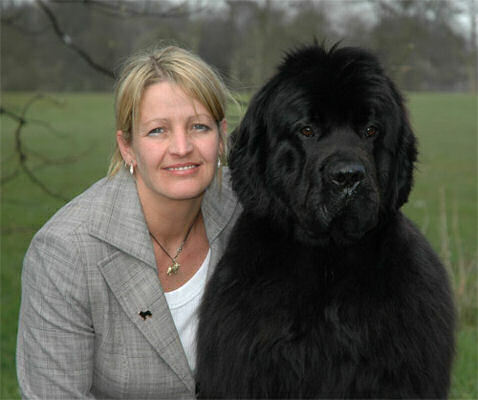 2009 saw Chino carrying on where he left off in 2008 winning his sixth Challenge Certificate on 04 April under Hillary Mitchell at the Northern Newfoundland Club Championship show and going on to be BoB and BEST IN SHOW. Chino after his Working G3 at The National, Birmingham. Heart tested "Clear" by colour echo-doppler. Hips score of 14 (6/8).